In December, Funcom ridded themselves of The Secret World’s monthly subscription. There was moderate rejoicing, but also some wondering aloud about whether the developer had managed to pinpoint exactly why people weren’t playing Ragnar Tornquist’s online opus. Tentatively speaking, it seems as if they have. Funcom have adopted a “buy to play” model – a bit like that seen in almost every game ever sold – which ditches all semblance of subscription in favour of a steep entry fee and paid-for DLC in the future. Think Guild Wars 2. Now a stock notice spotted by Games Industry reveals that in-game activity has risen to 400% since the shift. “Original players have returned joined by thousands of new players,” say Funcom, and 70,000 copies of the game have been sold in the last month – a nearly 30% rise in total sales. But not all is conspiracies and roses.A large-scale reshaping of the company will involve “cost reductions through the closure and the consolidation of offices with the goal of creating a stronger unified organization that can take full advantage of the exciting opportunities that face the games industry as it steps into 2013 and beyond”. Funcom’s Montreal offices have been heavily affected by the changes. A representative told Games Industry thatthe studio will “continue to exist although in a different form than today”. 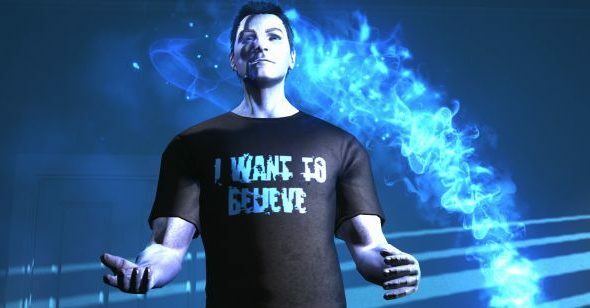 Have you been persuaded into playingThe Secret World yet?